Government continues to give emphasis on the number of toilets built as an indicator of villages becoming open defecation-free (ODF). This was again proved when Prime Minister Narendra Modi spoke about the state of sanitation of the villages along the River Ganga in an exhibition titled ‘"Swachhagraha ‘Bapu Ko Karyanjali’ - a Mission" on April 10 in New Delhi. According to Modi, around 75 per cent of the villages along the river are open defecation-free. If we go by the statistics given by the Ministry of Drinking Water and Sanitation (MDWS), then this number matches very closely with the number of household toilets constructed till 2016-17 in the villages along the Ganga. Thus, it is clear that the ministry is still correlating the number of toilets built with open defecation-free status of villages. In 2015-16, 701 villages were declared ODF on the basis of number of toilets built. In 2016-17, around 3709 villages (almost five times) were declared ODF. It means there has been a huge rush to construct toilets in these villages along the river in just one year. The objective of this number-chasing exercise was to meet the deadline set by the Central government (March 31, 2017) to make the villages along Ganga open defecation-free. Deepak Sanan, former additional chief secretary, Government of Himachal Pradesh, says, "Unfortunately, the central government finds number chasing the easiest way to bring about clean state in the country." In spite of the number-chasing exercise, the government could not meet the deadline. 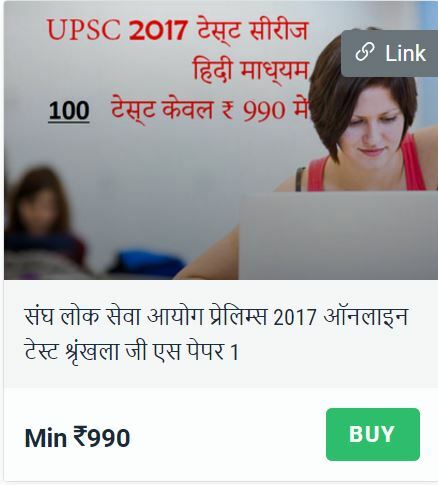 Narendra Singh Tomar, Minister of Panchayati Raj, Rural Development and Drinking Water and Sanitation, declared that the deadline has been extended to May 2017. Out of the 1.5 million toilets that were to be built in 5,169 villages, one million toilets have so far been constructed. According to the ministry officials, the floods along the river bank have delayed the pace of work. To meet the target, more than 420,000 toilets need to be constructed in April and May, 2017. Civil engineers may argue that the last phase of construction happens in this manner whenever a deadline has to be met. The question remains whether we compromise on the quality of construction due to this. There have been reports of such target-chasing when the government wanted to construct toilets in all the government schools by August 14, 2015. While number of toilets skyrocketed, news of poor quality toilets also poured in from different states. Only toilet construction is not the answer to untreated domestic solid and liquid waste that flows into our National River every day. Once the toilets are constructed, the ministry wants to have a concrete plan on solid and liquid waste management. "Huge amount of solid and liquid waste flows into Ganga every day. Only constructing toilets will not solve the problem," says B D Tripathi, Coordinator, Centre for Environmental Science & Technology, Banaras Hindu University. Government needs to take up the waste management programme on war footing. 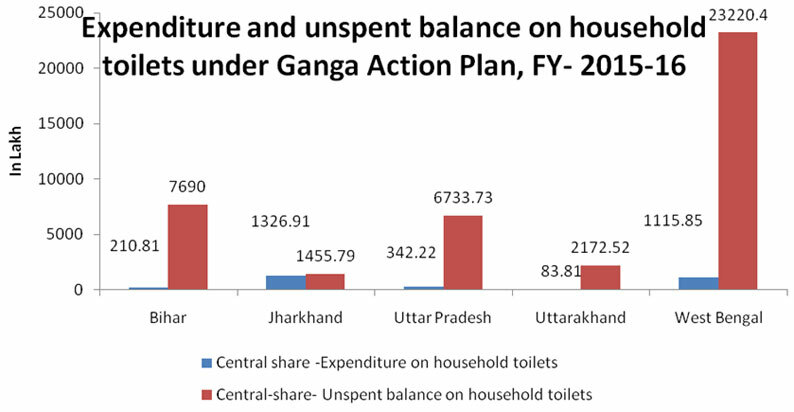 Data from the official website shows that in 2015-16, huge amount of money (Centre's share) for household toilets in villages bordering Ganga remains unused. This money could have been diverted easily to waste management practices say experts. Districts such as Sindhudurg (Maharashtra), North 24 Parganas (West Bengal) and states such as Sikkim, Himachal Pradesh and Kerala, which have already excelled in construction and usage of toilets, are moving towards solid and liquid waste management to secure a clean state. The interventions followed here can easily be adopted for the villages along the Ganga. Puneet Srivastav, policy manager at Water Aid, a non-profit with headquarters at the United Kingdom, feels that application of appropriate toilet technology in rural areas, starting from safe containment to safe handling and treatment to resource recovery are very much important to make the country clean.